From printing press to panini bar, this laneway warehouse has been given a new (if, perhaps, temporary: until March 2016) life as Saluministi. 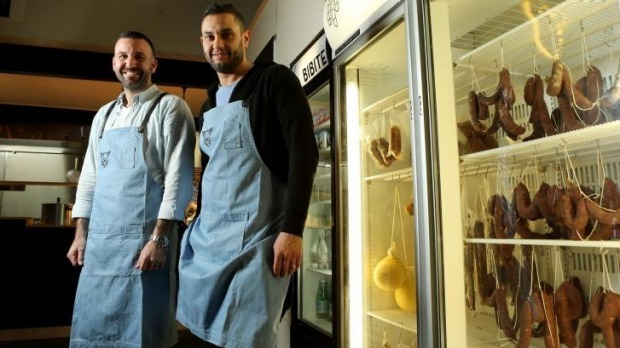 Business partners and brothers-in-law Frank Bressi and Peter Mastro have been making salumi for eight years and started serving panini filled with porchetta and pork sausage at the Melbourne Salami Festa. It proved so popular they've decided to set up shop to sound out the market. They've built an entrance impossible to miss, enormous white lettering on black, and the large room is simply decorated with bench seating, lots of blond wood and concrete. Mastro, who is part-owner of Middle Park's Victorian Wine Centre, and Bressi, a former financier, have designed a tiny, to-the-point menu. 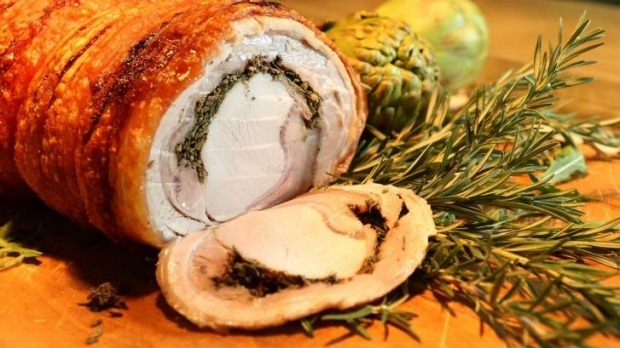 Stroll up to the counter for taut ciabatta rolls filled with thinly sliced porchetta, artichoke paste, pecorino and rocket, or cotoletta with vincotto mayonnaise, coleslaw and provolone. The house-made pork and fennel sausage also features with peperonata and rocket. 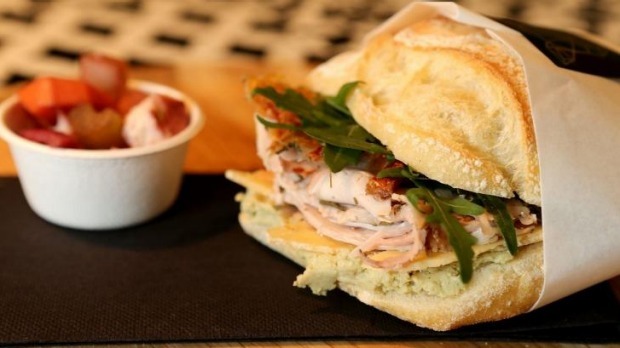 There are snacks too – fries sprinkled with pecorino, and seasoned polenta on a stick – and the pair is planning to sell sausages and their pickled vegetables to take home.